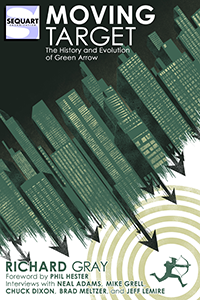 For 75 years, Green Arrow has been a part of the DC Comics world, working his way up from a supporting player to the star of a flagship television series. Yet for much of his career, he was a hero without a home, separate from his contemporaries, or unfavorably compared with a certain Dark Knight. Whether it is the “cowboys and Indians” influences of the 1940s and 1950s, the rebellious realism of the 1970s, the darker edge of the 1980s, or the melodrama of his TV personas, Green Arrow has remained the conscience of the comics world, and perhaps an even better representative than Batman of what one person can do.